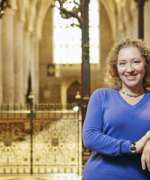 Following her time at Oxford, Sarah went into journalism and has written for most of the UK’s leading newspapers – The Times, the Guardian, The Telegraph (Daily and Sunday) – and magazines from Cosmopolitan to Country Living and Sight and Sound to The New Statesman. Her best-selling Tudor biographies, 'Arbella: England’s Lost Queen' and 'Elizabeth and Leicester', were followed by the widely-acclaimed ‘Blood Sisters: the Women behind the Wars of the Roses’ and 'Game of Queens: the Women who made sixteenth century Europe'. Shortlisted for both the Marsh Biography Award and the Ben Pimlott Prize for Political Writing, Sarah is a Fellow of the RSA, and an Honorary Patron of Historic Royal Palaces. Yet nothing revisionist work can do - and John Guy for one has provided a wealth of detail to show that Mary did at least try to rule her country - can hide the fact that in the end she failed, and failed spectacularly. The question is, why? It’s a question I’ve had to ponder a number of times. (Not least when, on BBC Radio 4’s Today programme, I had once to argue that Mary Queen of Scots was the worst monarch in British history. My point was that while most bad monarchs only manage to mess up one country, Mary clobbered two of them - Scotland, and England, where her constant efforts at subversion seriously compromised Elizabeth’s rule.) I’ve recently discussed it in Game of Queens, my study of the women who ruled sixteenth-century Europe. Even more recently, I’ve had to contemplate it again as background for a novel, The Queen’s Mary, I’ve written about Mary Stuart’s famous attendants, the ‘Four Marys’. Was it her upbringing? Her character? 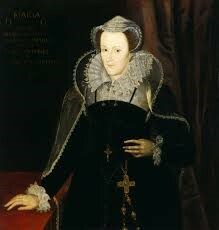 - was she really, as fiction and drama have long seen her, the heart to Elizabeth’s head? Was the real secret the fact that Scottish nobles, the Scottish ruling bodies, had a different relationship to their monarch than English rulers enjoyed - and that, as crowning insult, this particular Scottish monarch had a different religion from many of her subjects? All of the above, probably. But it may helpful, in this context, to look at one other thing - about just how revolutionary was the concept of a reigning queen, in the British Isles of the sixteenth century. And at what, on that subject, contemporaries had to say? 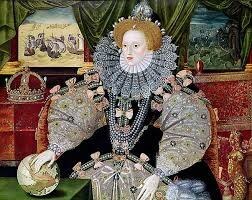 Elizabeth I in the "Armada Portrait"